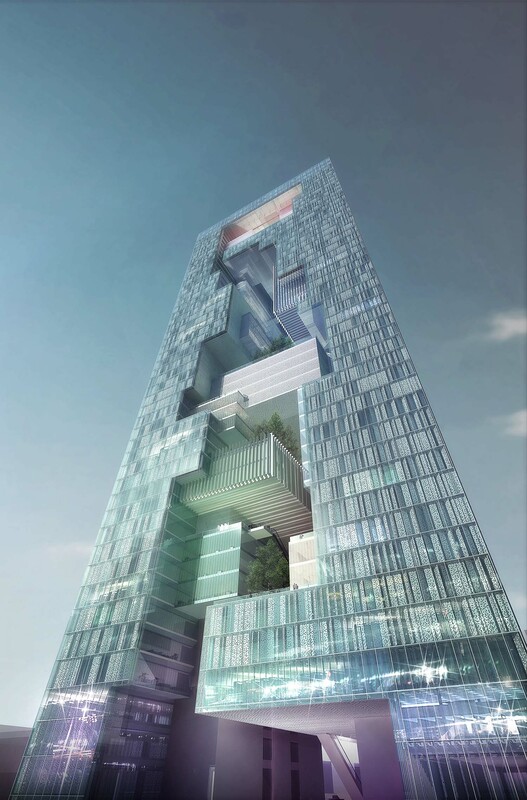 1+1=1 Tower, Great Wall Technology Headquarter by Studio Georges Hung Ltd. 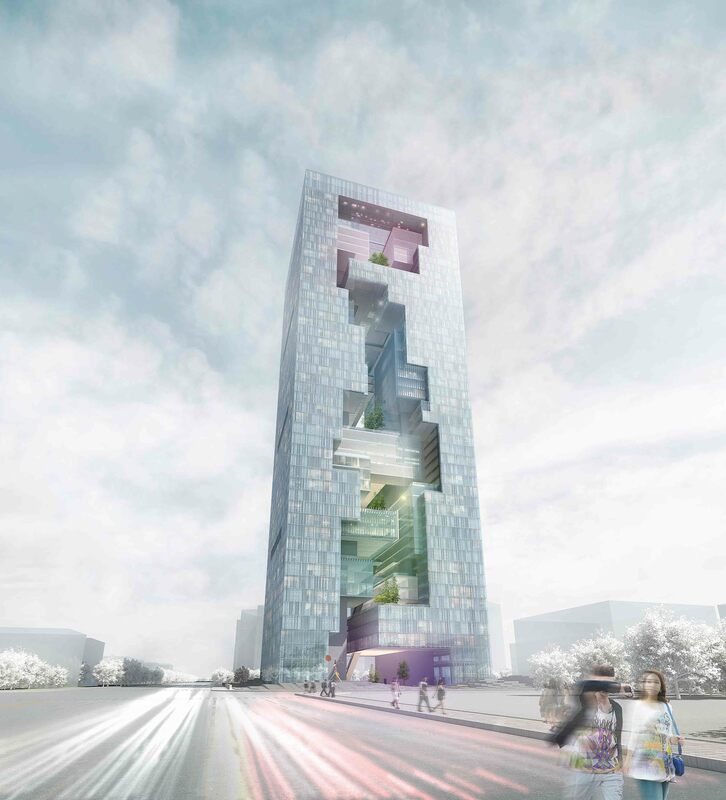 Winner: Studio Georges Hung Ltd.
1+1=1 Tower reflects the innovative spirit of the Great Wall company: creative, collaborative and visionary. 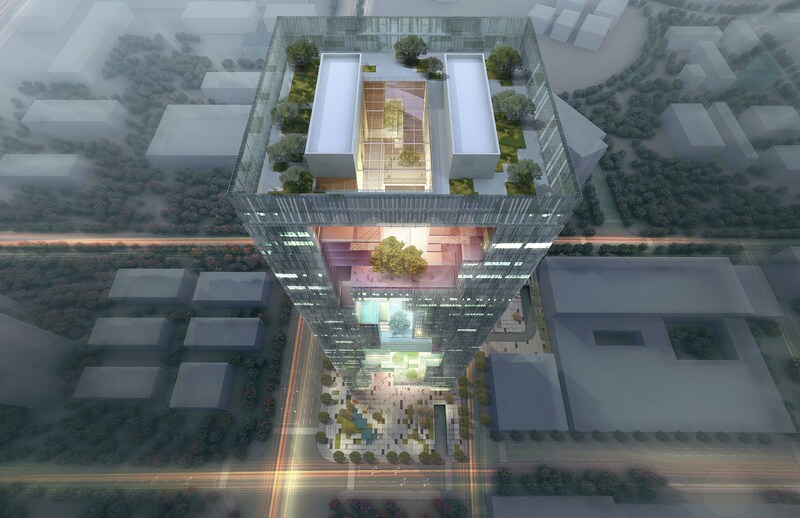 Our strategies lie in creating architectural opportunities for collaborative-interactive spaces between departments and generating a unique and identifiable visual spatial volume that spans the macro and micro scale of a tower. Composed of two slender towers, one Research and development and the other Administration, each unique in its form yet together recomposes into one overall tower. The strong feature of this project lies in the vertical void. It shapes a canyon of different volumes and different proportions that create a succession hierarchy of shared spaces. 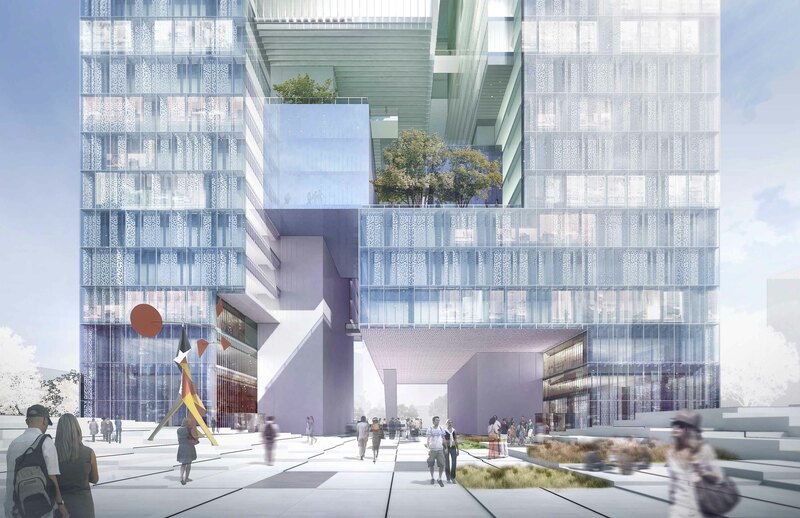 The assemblage forms a layered organic composition of shared functions and facilities between the 2 principal departments (Administration offices and Research & Development). They are organized to foster interrelationship through collaborative and interactive shared functions, promoting networking, both professionally and socially. Natural daylight and air are omnipresent throughout the tower. 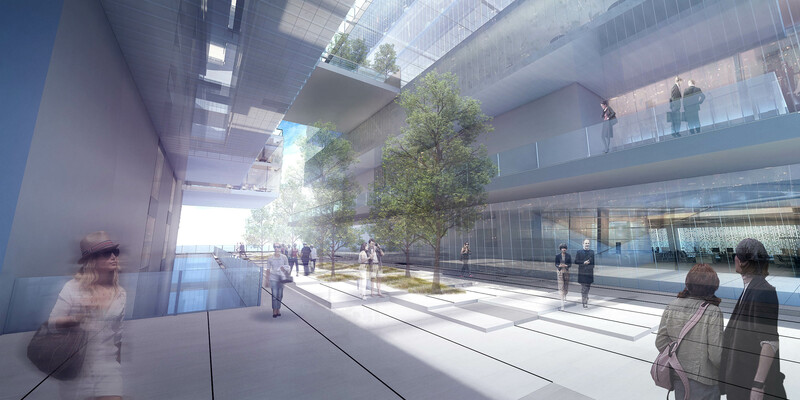 Natural daylight intercepts the tower from the top to the bottom: the air cross it from north to south and the landscape is laid out as a grid that creates a pixelated surface of pavement, water features and green areas. Our proposal creates a strong corporative identity for Great Wall, and defines a vibrant landmark for ShenZhen and ShenZhen High Tech Industry Park. A new edifice that defies boundaries between traditional and modern, public and private, exterior and interior. Something in between!